I didn’t completely fall head over heels in love with Isla Holbox. But we each have our own experiences, different weather, we meet totally different people, we find ourselves in different moods. 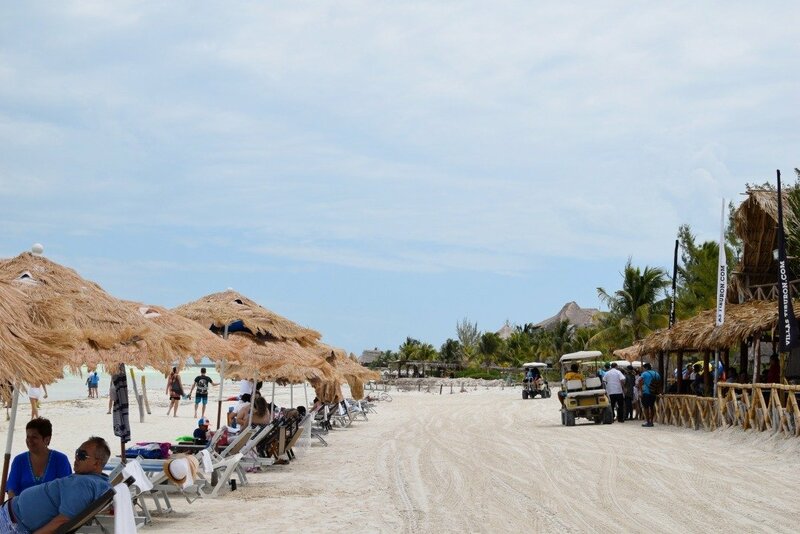 There are so many factors that come into play when you visit somewhere new, especially somewhere that is as beloved as Isla Holbox. The trouble was, I thought I would seriously love it. I really did. I thought it was going to be somewhere that was right up my alley. I thought the lack of cars, the unpaved roads made of sand, and the hammocks in the sea would be everything I’d ever dreamed of. All that stuff was there. It was beautiful. The waters were crystal clear and so shallow you could walk out over 100 meters and still only be about ankle deep. There really were hammocks in the ocean. The roads weren’t paved and they were covered in sand, just like I’d read. I think one of the biggest let downs was that it was nowhere near as eco-friendly as I thought it was going to be. I’ve stayed in hotels in Mexico City that are more eco-friendly than anything I saw on Holbox. All that I’d read about getting around by bicycle and the island being well looked after were, well, kind of a lie. Most places where we got street food or drinks gave us plastic utensils, styrofoam cups (I literally cry every time I’m given styrofoam), and plastic straws. And guess where most of that ends up? Not quite as much as Isla Mujeres, but that’s for another post. There’s garbage on the beach, garbage on the streets, and sadly, garbage in the water. Isla Holbox is a tiny island and all this waste has to end up somewhere. I was really, really disappointed to see the way some tourists and locals simply walked past a plastic bag blowing in the wind or styrofoam cups floating in the water. Forget bicycles, golf carts rule this island. You can rent them for about $50 a day and they are a much quicker way to get around the island. Even the taxis are golf carts. Drunk tourists head from the bars back to their hotels in them every night. Since there aren’t really roads, there obviously aren’t any road rules. I lost count of how many times I literally had to jump out of the road so I didn’t get knocked down, both during the day and at night. When you lay on the beach, you might expect to hear music, a bit of wind through the trees, perhaps the sound of the sea lapping against the sand. Nope. The only thing you can hear is the roar of the golf carts as they zip past the beach front. Not exactly the sounds of paradise that I’d imagined. I don’t want to sound like prima-donna or lead to you think that this place is just one big landfill full of gas-guzzling golf carts. I had a great time on Isla Holbox. We stayed at a nice hotel, we ate amazing seafood, and the water really is insanely beautiful. It’s not some terrible place that should be avoided. I think I was just so disappointed that it was so vastly different to what I had imagined. It’s partly my fault for not doing more research, for perhaps being so naive about “paradise”. But I also think it’s important to highlight what it’s really like so that YOU don’t feel the same disappointment. 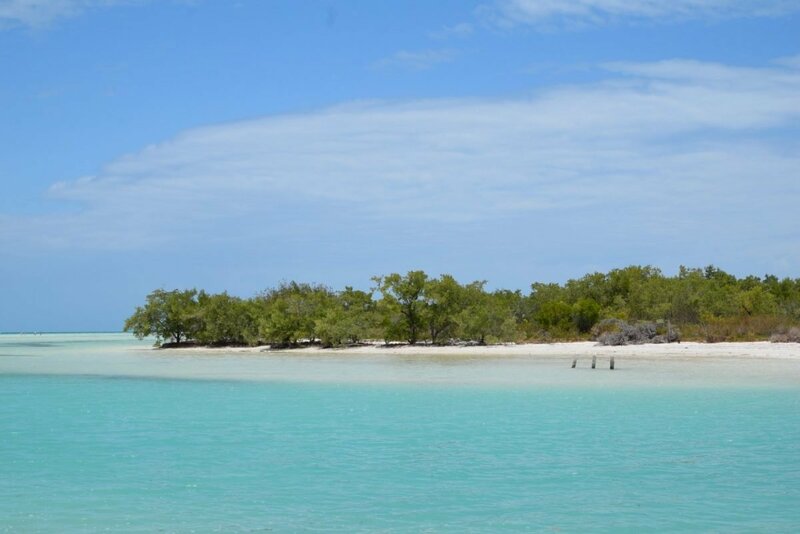 I also think it’s important to shed some light on the problems that I saw so that if you DO decide to go to Holbox, you can do your part to leave a smaller footprint. It really is THIS blue. It’s stunning. 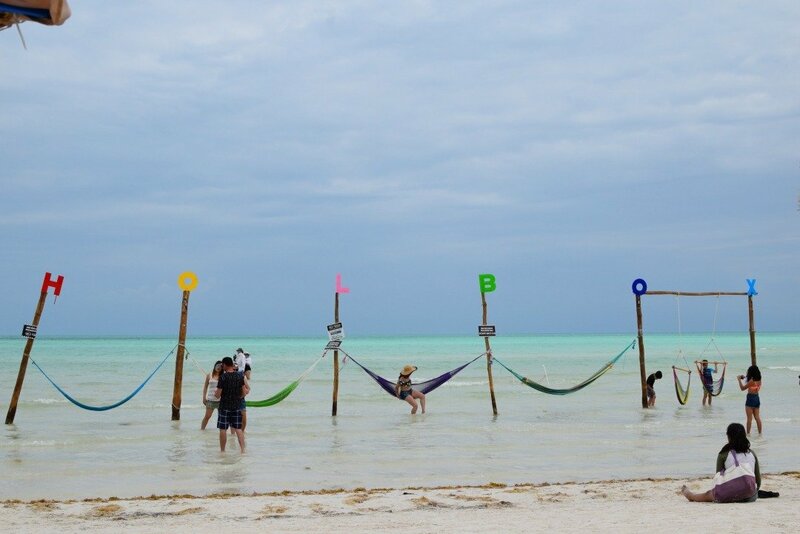 Have you ever been to Isla Holbox? What was your experience there? Do you think I’m just being overdramatic or kind of naive for thinking it would be so perfect? I’d love to hear how you handle these sort of let-downs! Great post reflecting the reality. These are todays problems in every single mass tourist place. People rave about Bali and Gilis where there is even worse situation. And Phi Phi is now closed. If you want to have a real paradise head to Pacific islands. It´s expensive and hard to get. But they do have working systems for garbage in the middle of Pacific ocean and it´s 10 times cleaner than anywhere in Asia or Central/South America. I love Holbox. I live about 2 hours from there, I am not sure what time of year that you went.? I have been there twice and plan to go again in February. I don’t recall trash everywhere. I’m sure it has its days? It was beautiful and I did see the Hammocks. I really wanted to sit in the shade and as you said, I was not allowed to sit because the seats were for hotel guests. I still had a great time! Sitting in the sun and I don’t need a tan. I went during Semana Santa – a very busy time of year, I understand, but I think I just had way higher expectations. It’s still a lovely place. I feel the same about styrofoam! Is there anywhere in central america that you’d recommend that has the activities or the beaches of isla holbox, but without the trash? Been to central america a few times, and the trash kills me.